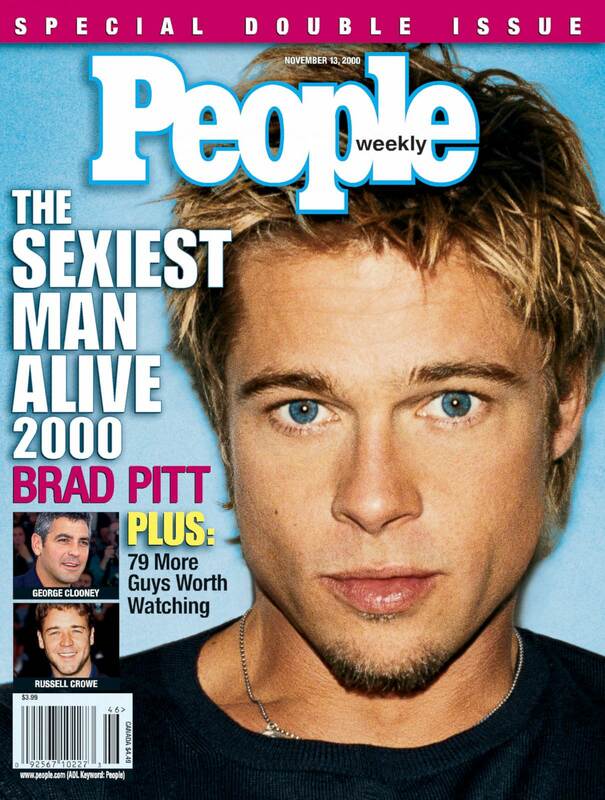 In this week’s column, Vir Sanghvi examines the birth of the alternate celebrity, and the three magazines that contributed to it. For the longest time, the only celebrities were movie stars. This notion was changed thanks to three magazines. Are we all fanboys and fangirls? It certainly seems like that. Everything in modern society is about celebrity. Magazine covers are no longer about issues: they are about people. Movies are made around stars, not plots. Social media amplifies the trend, creating instant celebrities on Instagram and Twitter. And advertising is only about celebrities: why bother with models and a proper ad campaign when you can just get a celebrity endorsement? It is hard to say when celebrity culture took hold of society, but perhaps it had to do with the rise of three magazines. One of them, People, launched by Time Inc, in the days when it was the world’s greatest magazine publishing company, dealt only in short celebrity stories. Its significance lay in the way it defined celebrity. There had always been film gossip magazines but People moved beyond film stars to include TV actors (till then, regarded as second-rate figures), designers, sports stars, minor royalty, millionaire playboys, models and more to create a new celebrity class. Before People, a story involving a major Hollywood star would always trump a story involving anyone else. But in the pages of People, it could be a sportstar who got top billing or even a glamorous designer. Two publications took the People formula to the next level and I have been reading books about both over the last couple of weeks. Sticky Fingers is the third book I have read about Rolling Stone magazine. The first two were written by great writers (Robert Sam Anson and Robert Draper) but they lacked access to Jann Wenner, the man who founded Rolling Stone and edited it since its inception. Apparently, Wenner felt that both Rolling Stone and he (though not necessarily in that order) needed a definitive biography. So he contacted a journalist called Joe Hagan and offered him unprecedented access. Not only did Wenner sit down with him for hours of interviews but he also fixed up meetings with the many famous and powerful people who had played a part in the rise of Rolling Stone. Moreover, Wenner turned out never to have thrown a piece of paper away since the Sixties . So the biographer had access to letters, bills and papers. Wenner did not, however, have copy approval so the book that resulted is one that he hates. It portrays Wenner as a greedy deceitful, insensitive hustler ,while simultaneously acknowledging his role in creating one of the great magazines of the Twentieth Century. Rolling Stone started out as a chronicle of the so-called counter-culture, opposing the Vietnam war, attacking the American establishment and appealing to hippie sentiments. In that era, it was impossible to separate the counter-culture from rock music so Rolling Stone was part-revolutionary tract and part-rock fanzine. It became the voice of what came (briefly) to be known as the Woodstock nation. Opinions have always diverged on which part of the magazine ---- the anti-establishment journal or rock fanzine --- Wenner really cared about . But what is true is that as the hippy-dippy revolution faded, rock grew in power. In no time at all, Rolling Stone had assumed so much influence in rock circles that a review that described Eric Clapton as the master of the rock guitar cliché hurt the guitarist’s sentiments so deeply that it contributed to the break-up of his band Cream. Similarly, Wenner’s view that John Lennon was the soul of the Beatles while Paul McCartney was a mere wimp, was so powerfully expressed in the pages of Rolling Stone that it soon became the conventional wisdom among rock fans. By the mid-Seventies however, with America out of Vietnam, with the end of the military draft (a primary reason for anti-War feeling among the young) and with the hippies cutting their hair and going back to work, Rolling Stone realised that its future lay in rock. Wenner did encourage such writers as Hunter Thompson (who specialised in a form of new journalism he called ‘gonzo’) but the conflict between the counter-culture journal and the rock magazine was soon resolved. Rock stars were now Rolling Stone’s main focus. Then, Wenner had one of his better ideas. Aided by the striking and unusual portraits taken by Annie Leibovitz, his star photographer, Rolling Stone began to focus on people outside the music business. Suddenly, a movie star who appeared on the cover of Rolling Stone, (say Michael Douglas) became hip. A comedian (say John Belushi) who was profiled in the magazine began to be regarded as cool. Though Rolling Stone always had some great serious writing (after Thompson, there were William Greider, Tom Wolfe and many others), it transformed itself into a hipper People. 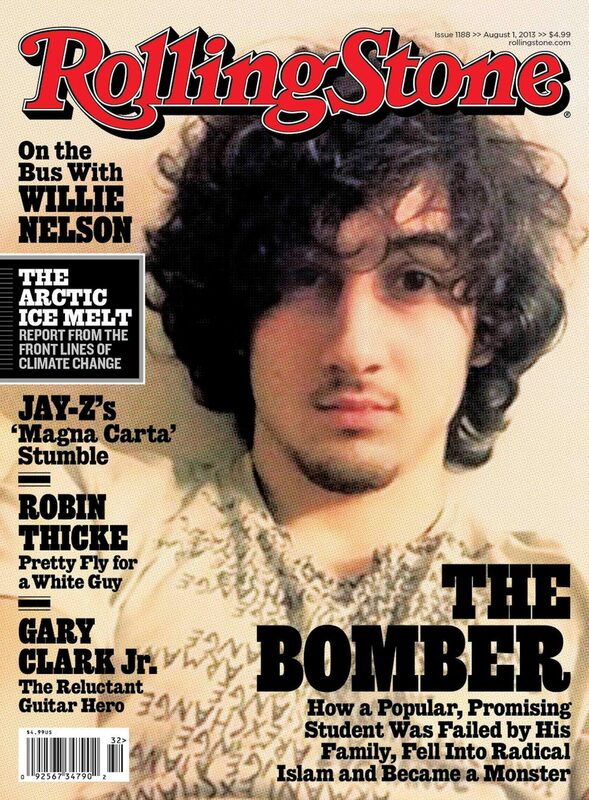 Unlike People, Rolling Stone would not put a soap opera star on its cover. But anybody who got the Rolling Stone seal of approval saw his or her popularity sky-rocket among young people who wanted to seem in cool and in the loop. In the process, Wenner created a new genre of celebrities: people, from any profession, who were ‘cool’. When Jimmy Carter was President, Rolling Stone persuaded his two top aides to dress up as Butch Cassidy and The Sundance Kid and put them on the cover. Now, even White House press secretaries could be cool celebrities. The notion of celebrityhood, once reserved for movie stars and rock singers, was now thrown wide-open. Just as Rolling Stone hit its 1980s’s prime, pulling in millions of dollars from advertisers, Tina Brown flew to New York from London. Brown, who was in her 20s, had found fame after revamping a desperately dull society magazine called The Tatler and making it the toast of London. The multinational magazine behemoth Conde Nast (which owned Vogue) bought Tatler and Brown went to New York to help with a struggling Condé Nast magazine called Vanity Fair. As Brown tells it, in her recently published Vanity Fair Diaries, she got to be editor by making it clear to the owner of Conde Nast that Vanity Fair was doomed unless he gave it to her to edit. Finally, out of desperation, Conde Nast made Brown the editor. Her genius idea was to turn Vanity Fair into a magazine that wrote mainly about people. But unlike People’s short pieces, Vanity Fair articles ran to thousands of words. Like Wenner, Brown spent money on writers (actually, she spent a lot more than Rolling Stone: Vanity Fair paid the highest rates, per word, in the world) and like Wenner, she used Annie Leibovitz to take striking portraits. In other respects, Vanity Fair was nothing like Rolling Stone. It had the high gloss paper and printing of Vogue. It was pitched to top advertisers. It didn’t even bother to pretend to be anti-Establishment. Instead, it embraced the Establishment or better still, suggested to its readers that it had the inside dope on the Establishment’s secrets because it was so well-connected. Brown’s formula was to aim high. When Ronald Reagan was President, she got Nancy and him to pose, dancing for the cover. The top Hollywood stars spoke exclusively to Vanity Fair. True life crime stories were covered with style by such writers as Dominick Dunne (a failed movie producer who became a writer under Brown’s tutelage). In Rolling Stone, a profile of a rock star, another of a White House Chief of Staff and a third of a media tycoon like Ted Turner, could co-exist because they were all written in the same voice: with a slightly detached, super-cool perspective. In Brown’s Vanity Fair, the President of the United States, the wife of some murderous dictator and a Wall Street marauder could all co-exist because they were all written about (and photographed) with the same gloss, sophistication and stylishness. Vanity Fair made power (and money) seem more glamorous than ever before. Vanity Fair and Rolling Stone did not create the age of celebrity that we now live in by themselves.But they played a large part in shaping it. They told us that there were celebrities in every field, not just show business. We just had to learn to view all high-achieving individuals that way. There was no problem with reading about the Governor of an American state on one page and about a football star three pages later. They were both celebrities and deserved the same level of attention. That’s pretty much the mantra of our age, where a Mark Zuckerberg is a bigger star than say, Ed Sheeran or Johnny Depp; where more people will ask for selfies with Mukesh Ambani than will bother with say, Sunny Deol or Shahid Kapoor. Our whole definition of stardom has changed. My guess is that as social media grows in influence, that definition will broaden even further . A man who has sold a million movie tickets will find himself on par with a teenager who has a million followers on Instagram. And the people who cover the news ( say, Arnab Goswami) are already bigger celebrities than many of those who make the news. Wenner and Brown created the modern celebrity in the 20th Century. But even they may be surprised by what celebritydom has become in the 21st Century.